We are now almost adjusted to the jet lag here in Belgrade and I wanted to wrap up our holiday in Bolivia with one last blog post. 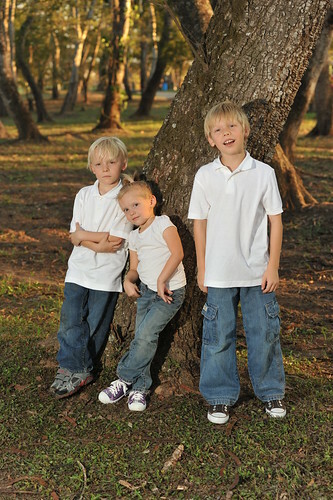 Above are my three “angels” in last week’s family photo shoot. It was great to see family and friends again. I would like to thank Popa, Aunt Silvia, Modesta, Horacio, and Alejandra for their hospitality for making our time in Santa Cruz so nice. For example, Nadia is shown below getting measured for clothes. It is nice to have a relative who is a fashion designer! We both got tailored clothes for this year with Silvia’s label. It was like the tropical Savoy Road in London. Bolivia is always an interesting place. The amazing growth (city doubles in population since we last lived there 10 years ago) and President Morales’s reign have certainly changed the city. I came to the conclusion that Santa Cruz is better off within Bolivia for the long run rather than going independent. I know that the Andean immigrants cause resentment, but it helps the Crucenos to have a bigger market to sell to and the diversity offered by the Andes, makes Bolivia a better nation. I don’t like the influence of the drug trafficking and I foresee more crime and violence coming to the city. Santa Cruz is a bit of a intellectual wasteland, but it has a beautiful countryside. Unfortunately, the way it looks, there is no planning with the development of Urubo across the river and what could have been a Coral Gables tropical bucolic paradise, will turn into a developing world garbage dump. Despite the challenges, I still want to have retirement roots in the area however. Living is easy in Bolivia and it will serve our later years well to have a place there to call our own. Right now there is a “narco housing bubble” as I call it and we’ll have to wait to find a piece of land. Goodbye Santa Cruz, not sure when we’ll be back.